The Kaikoura earthquake was the most reported natural disaster in New Zealand history. When Kiwirail reopened the train line we had to draw people back to a region they thought was destroyed. So we turned a news disaster, into a new destination. 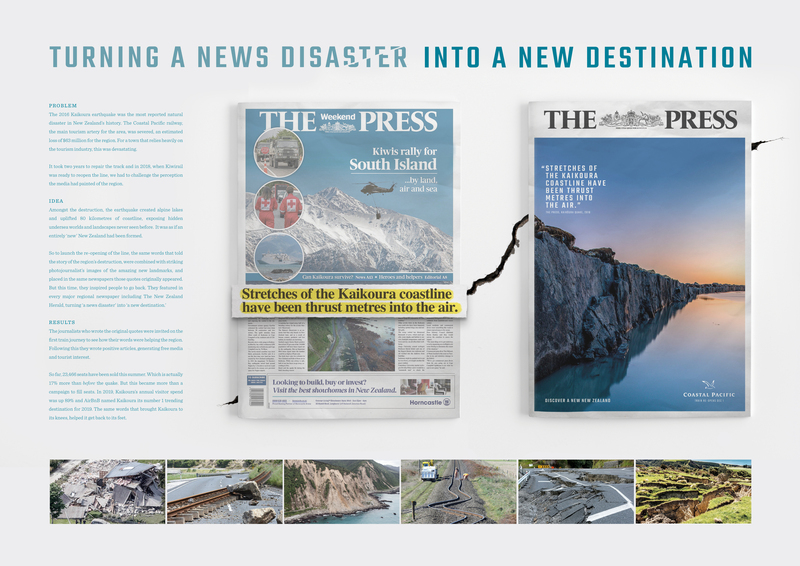 We took the original news quotes which had described the destruction and paired them with images of stunning features created by the quake, running the campaign in the same newspapers the quotes had appeared in. The journalists who wrote the original quotes were then invited on the first train journey to see how their words were helping the region.